There are many fun food-related events in Santa Cruz this weekend; here are a couple highlights. POPUP has two events: one today and one tomorrow. 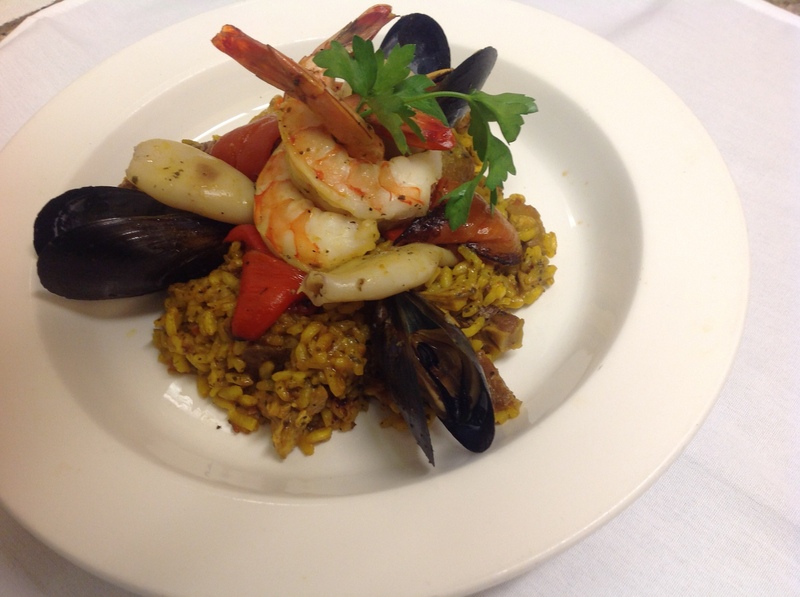 On Friday night, Dec. 5, it’s hosting “Paella with Panache” with guest chefs Jehan Hakiman of The Spanish Table, and Katie Pearce and Alexa Newman of Contigo. 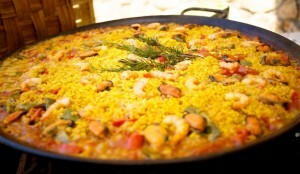 Two kinds of paella will be featured: Paella de Marisco with shrimp, mussels and calamari; and Paella Cazadora. A selection of traditional sides and accompaniments will also be available. The event starts at 5:30 p.m. and ends when the food sells out. Saturday, Dec. 6 from 9 a.m. to noon, POPUP will be selling hot cocoa and sticky buns, a perfect treat before doing your holiday shopping and/or for a warming snack while watching the downtown Holiday Parade on Pacific, which starts at 10 a.m. Unfamiliar with POPUP? Chef Kendra Baker and partner Zachary Davis—the team behind Assembly, The Picnic Basket, and The Penny Ice Creamery—host rotating food vendors in this space. On Friday night, Dec. 5 from 5:30-8 p.m., Homeless Garden Project is hosting its annual Holiday Store Open House and Celebration with food and drink including cupcakes from Buttercup Cakes & Farm House Frosting. The event coincides with First Friday, and there will be work by a few artists and a dance performance in collaboration with MAH. There will be music by Rick Zeek and Rhan Wilson. At 6 p.m. a special presentation will include comments from HGP program trainee Angela, as well as Mayor Lynn Robinson and Council member Don Lane. The holiday boutique offers items including culinary products made in its training program from herbs and flowers grown at the HGP organic farm. I’ve bought their wonderful lavender shortbread mix as a holiday gift in the past. Income from gift sales helps provide job training and transitional employment for people who are homeless or at risk of homelessness, and volunteer and educational opportunities for community members who want to learn about and practice sustainable agriculture and social justice. For more info on POPUP, see heypopup.com. For more info on HGP, see www.homelessgardenproject.org. To follow me on Twitter, see twitter.com/santacruzfoodie. Aptos restaurant Au Midi started two summer promotions last month, one for Wednesday and one for Thursday, and it just added a third which will occur every Tuesday. Each one is a special dish for $19.50. The dishes are served the entire evening, from 5:30 to 9 p.m. These promotions will last all summer. I enjoyed a wonderful dinner at Au Midi in April, and I hope to go back soon for one of these specials — hard to decide which one. During my dinner, the service was gracious, the atmosphere comfortable and the food delicious. One standout was a beet and goat cheese mousse salad, and I notice it’s still on the current menu (I know some dishes rotate with the seasons). Also highly recommended: the French apple pie served with gingerbread ice cream. Husband and wife Michel and Muriel Loubiere are a great team. He is fabulous with customers, and she is a talented chef. Au Midi is also a participant in the “Date Night Santa Cruz” program. If you’re unfamiliar with this offer, it works like this: customers buy a $50 package that includes dinner and a movie for two. The tickets can be redeemed any Monday through Thursday evening, except holidays and special events. 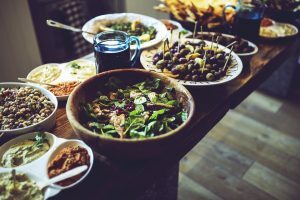 When you purchase the Date Night product, you select which restaurant you are buying a ticket for (they are mostly in Santa Cruz, plus a couple in Aptos including Au Midi). You can decide later which movie theater you’re going to of the three in the “Nick Family.” Each restaurant gives customers a certain value to spend on dinner. For more information, see the Nick’s Date Night web site http://www.thenick.com/Date-Night-Santa-Cruz.html. Au Midi is at 7960 Soquel Drive. Call 831-685-2600 or visit http://www.aumidi.com for reservations or details.